This is really a big day. At long, long last the website is now live. It has taken exactly a year from when I decided to get serious about turning Traditional Hydrotherapy from a dinky DOS programme into a stunning (hyperbole) website. And 19 years after I started going through the original books and putting them on HyperHelper. Admittedly the content is still the same, it just looks a whole lot more attractive. It is easier to use with redundant cards combined and plenty of indexes and navigation added. 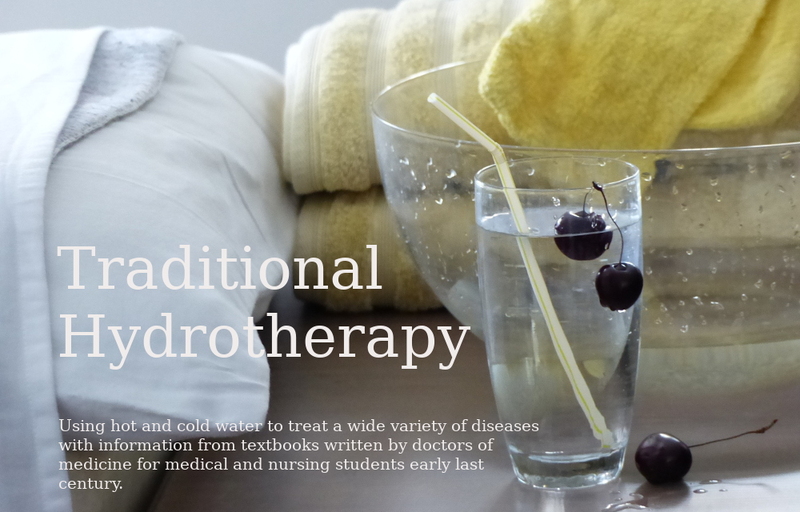 Please visit Traditional Hydrotherapy and tell me if you find mistakes. There must be some! I'm not sure when the Google Search function will begin working. Google has to index the site first. Apart from that it looks good to me. For those of you who can actually use the information on the site, I would love you to tell me how it goes. If I get enough feedback I will start a forum where you can add to the knowledge base of currently used and successful (or unsuccessful) hydrotherapy. Big sigh of relief... and prayer of thanks to God. What am I going to do now? Maybe get some more sleep... or relaxation? Software Freedom Day next weekend so that's next Sunday out.